Pig producers are pressing retailers and processors for an immediate increase in the price they pay for pigs to reflect the sharp rise in production costs. 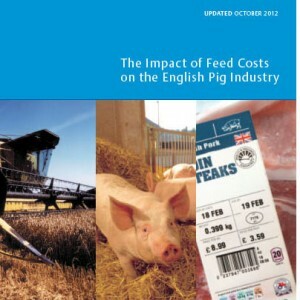 The call comes in a report published this week by BPEX – ‘The Impact of Feed Costs on the English Pig Industry’. They warn that without an immediate, modest increase in the retail price of pork and pork products, consumers could face massive increases next year. They also say that consumers are on their side: a YouGov survey shows consumers are prepared to pay a little more for Red Tractor pork and believe retailers should pay farmers more to reflect their production costs. Rocketing feed prices mean producers are facing mounting losses, with UK farmers losing around £14 on every pig produced. Industry leaders are warning that farmers will be forced out of business with the inevitable consequence of a shortfall in supply. The situation across Europe is equally pressing where farmers are not only confronted with higher feed costs but also with the costs of meeting new EU welfare legislation that comes into force on 1.1.13.